A Nannie is a person with Child Care Education, Baby Care or First Aids Education and with a wide experience in children. A Nannie can work full or half time during a period of time according to the family needs. A Nannie can have different nationalities: English, Spanish, German, French, Chinese… depending on the family choice and the interest they have their children practising a foreign language spoken as a mother tongue by the Nannie. The work of a Nannie goes through the educational background to the psychological stimulation of children meanwhile games and interaction, adding some house work to fulfil the family needs. The rate of a Nannie can be between 300-600 € per week depending on her qualification and the number of hours worked. 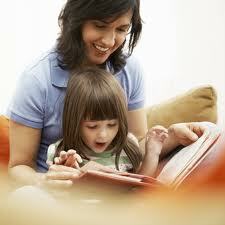 Our Nannies are carefully selected by a personal interview and questionnaires. Her documentation will be revised and throughly proved.